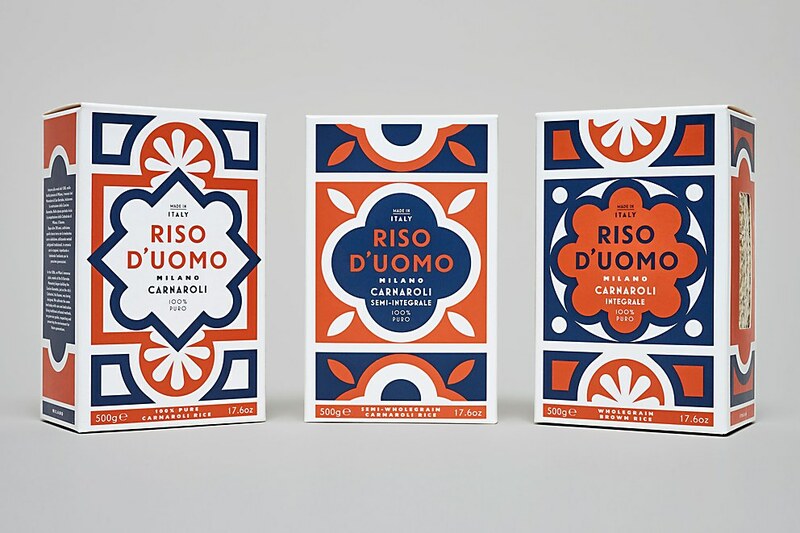 The packaging for this Milanese artisan rice brand uses simple, geometric patterns to set itself apart in the market. 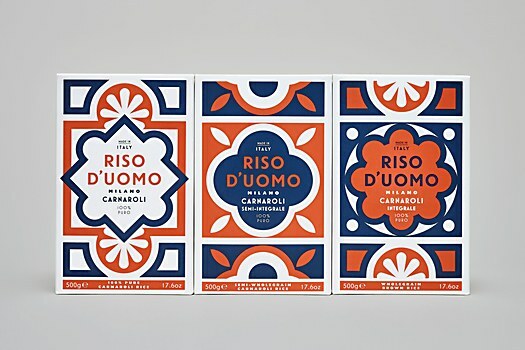 Background: The purpose of this project was to create packaging that celebrates the amazing quality and purity of Milanese artisan rice brand, Riso D’uomo’s carnaroli rice, which is grown close to the Duomo di Milano, or the Milan cathedral, for the past 700 years. 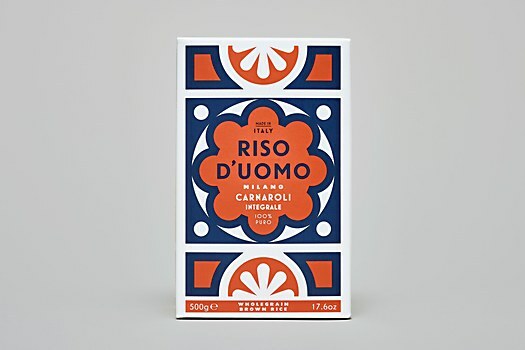 Riso D’uomo still cultivates the same land today with care and dedication, using traditional artisanal methods. 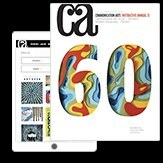 Reasoning: Our idea was to rewrite the rice design rulebook and use bold lines, solid shapes and strong colors in a way that truly stands out. 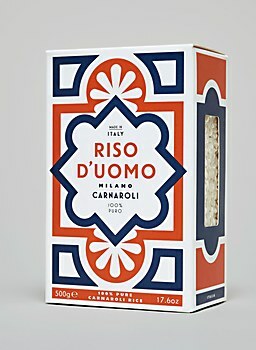 Our tile shapes and patterns are taken directly from the Candoglia marble floor designs of the Duomo itself, to which we added simple geometrical rice patterns reflecting the high quality risotto rice grains. 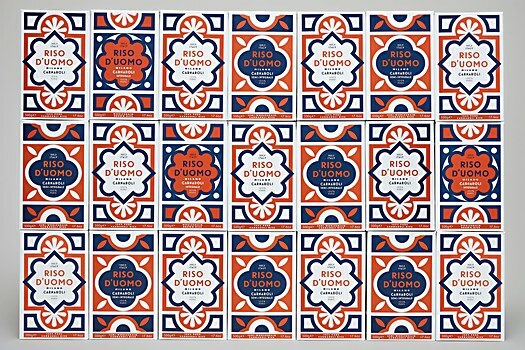 Challenges: Reimagining rice packaging outside its current quiet vernacular. Favorite details: The way that the packs are iconic, both individually and as a set. 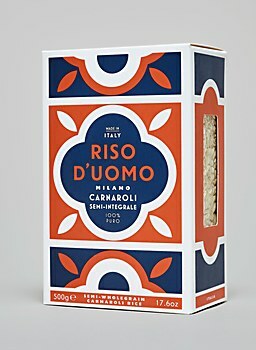 Anything new: We learned why using such high quality rice makes such a difference in cooking a really good risotto. 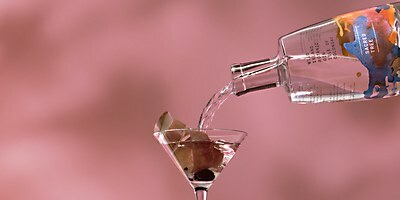 And that craft and authenticity doesn’t have to be bland or expected in its aesthetic. 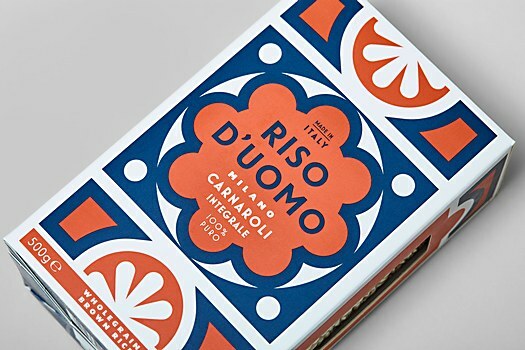 Visual influences: The inspiration for the packaging comes from Milan, and its cathedral, which is the home of the product. 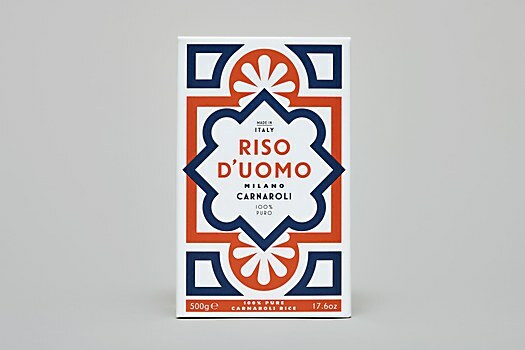 Also, the bold Italian designs of the 1920s. The packaging for the latest edition of Wild Island gin runs wild with watercolor. 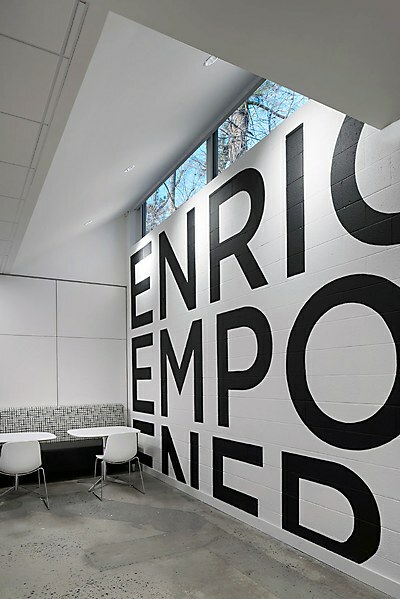 The identity for interior solutions provider Corporate Environments’s new showroom uses lettering and space to connect with customers. 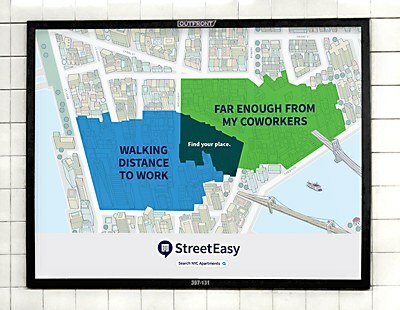 The new OOH ads for this New York City real estate marketplace use maps and Venn diagrams to deliver insightful, humorous observations.